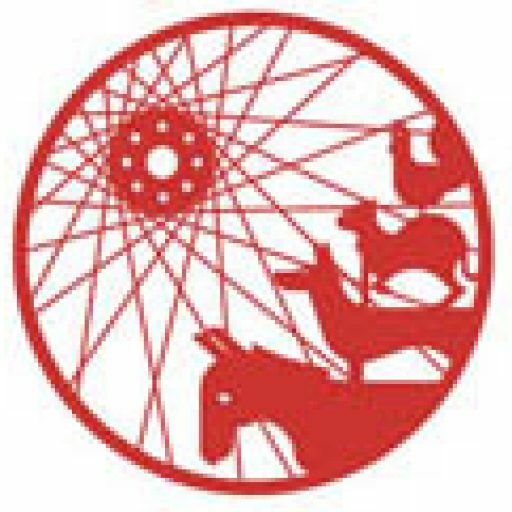 „The bicycle has done more for the emancipation of middle and upper class women then all the struggles of the womens’ movement“. So wrote the Austrian authoress and feminist Rosa Mayreder (1858-1938). 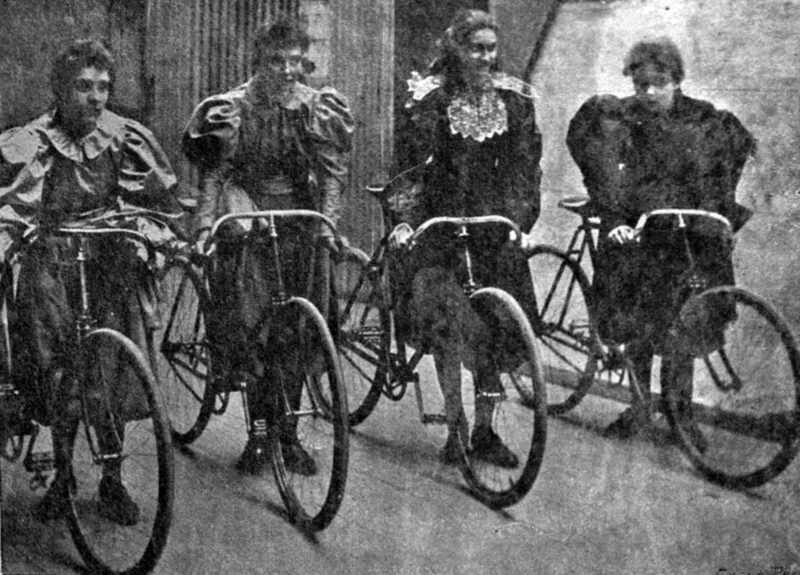 The first female cyclists came from wealthy families, taking the opportunity to get away from their restrictive circumstances. In Bremen there were Ricarda Huch and Aline von Kapff, who fought for their freedom from the saddle of their bicycles more than 100 years ago. But if we think cycling is gender-neutral, we are wrong. A majority of women cycle in a more defensive way, requiring more security. Meanwhile, if we look at what has been done for Bremen cyclists in recent years, it appears that cycling policy has evolved for young, male, fast cyclists. Some of them might like cycling on the road more than on a cycle path, but to do so requires courage and speed. Slow cyclists, or indeed more anxious people, don’t enjoy mixing with cars on the road. It is seen as dangerous, and certainly some car drivers see cyclists as an obstacle, of which they try to get rid of by hassling them and blowing their horns. Despite this, traffic planners in Bremen fail to consider the varying needs of cyclists, be it children, elderly people or women. Recently built cycling infrastructure in Bremen is geared to the young, sporty (mostly male) cyclist, who likes to mix with cars without any worries. More and more women protest, pointing out that they don’t want to cycle on specific roads. Fahrradstraße (cycle street) Parkallee in one of these: illegal parking narrows the space and loads of non residential car drivers speed through it. Cyclists are overtaken ignoring the necessary distance of 1,50m and they suffer from motorists who hassle them, blow their horns and shout at them. A similar problem is the Humboldtstraße, also a so-called cycle street: Bremen tends to develop „cycle streets light“, quite the contrary to the diligently developed cycle streets of the first years, in the 1980s. This has a lot to do with Bremen’s cycling advocates, who still today argue for vehicular cycling on the road. A new development is a „green wave“ for cyclists. But it is planned at a speed of 18 km/h – most women though cycle more slowly. The idea behind it is good, the way it is done is once again „light-headed“. A successful gender mainstreaming in the transport sector is a sign of quality for planners and politicians – given how household structures develop and new life styles emerge. But if we want a just transport plan we need to look at the needs of all traffic members. 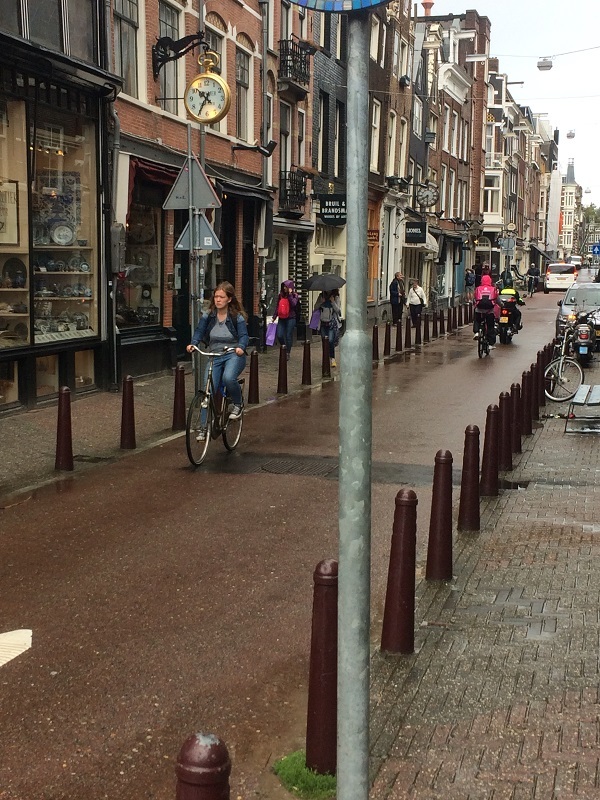 It is ridiculous that planning for cycling tends to forget the majority – the women – and their needs. Transport planning needs to be more feminine. We need more space, security, no anxieties, equal rights and a gentle working together.